Last week I shared a recipe for zucchini pie. A tasty dessert made from vegetables. 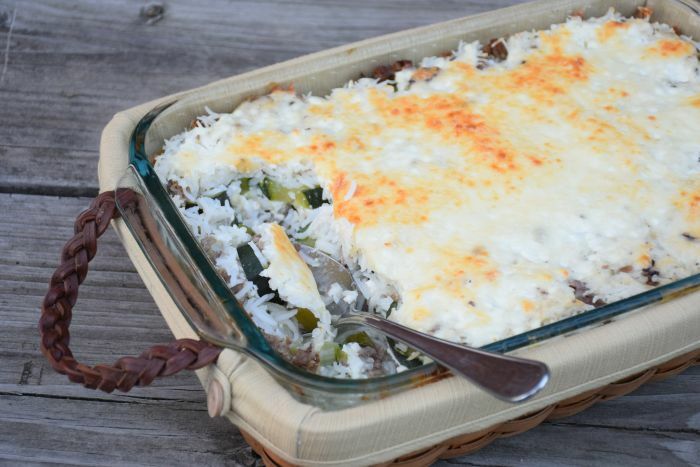 Now I’m sharing my Cheesy Zucchini Casserole Recipe. In case you haven’t guessed it, our zucchini is doing great and I’m making a zucchini based dish several times a week 🙂 Yummy!!! 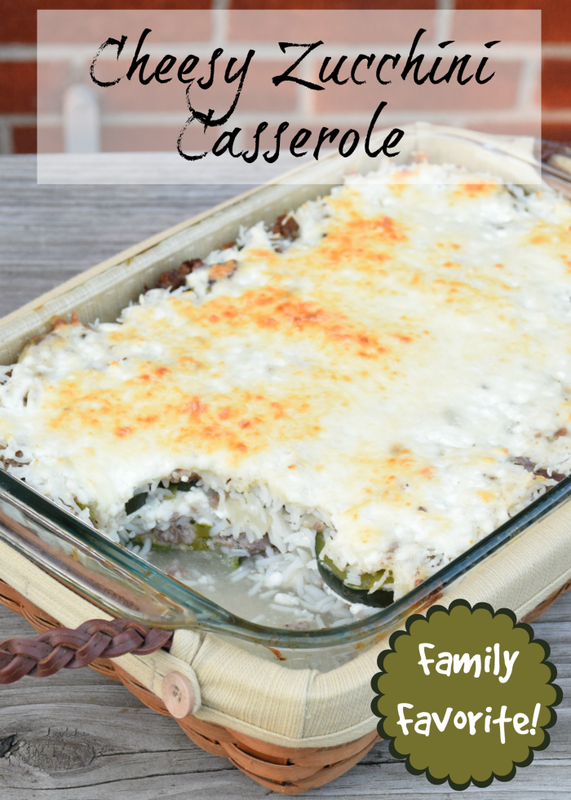 A delicious cheesy zucchini casserole recipe that the entire family will love! It's a great way to help use up all the surplus zucchini that comes with gardening and good weather. Slice zucchini ¼" thick and steam just until tender. Brown meat with the garlic and chopped pepper and onion. 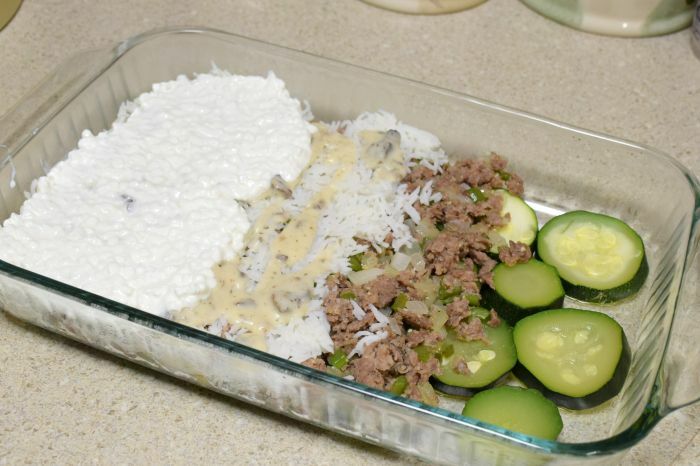 In a 9x13 pan, layer ½ the zucchini, ½ meat mixture, ½ rice, ½ the soup and ½ of the cottage cheese. 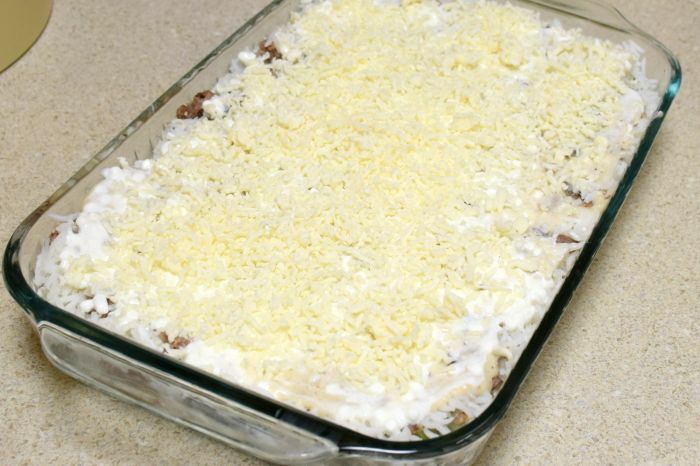 Repeat the layering process and top with shredded cheese. Bake at 350 for 30-40 minutes, until cheese is slightly browned. To properly do the layers, you will need to spread stuff pretty thin. 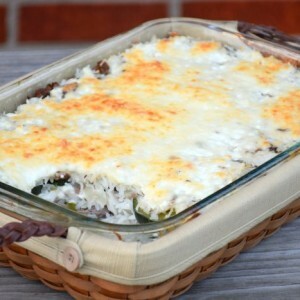 To be honest, many times I’m in a big fat hurry and just layer zucchini on the bottom, dump everything else in and then another layer of zucchini on the top covered in cheese. The casserole doesn’t stay together as nicely that way, but in our family as long as the food tastes good, we don’t care about looks. 🙂 So double layer or not, it’s your choice. Do you have a favorite zucchini recipe from childhood? This recipe has everything I love. I need to make this. It looks yummy. This sounds delicious! Great way to use the excess zucchini that many gardeners have this time of year too. Love how easy this recipe looks.